What made you decide to become an author and what’s your favorite thing about it? I’ve loved writing for as long as I remember, but when my first son was born and I was home on maternity leave, I realized I had stopped doing it. There was always a stack of books for reading, but I wasn’t journaling, and there was no creative writing. And so I simply started again. At some point I thought, maybe I have something to share to others through this process. That was when I got serious about children’s books. What book have you read (not your own) that touched you in some unexpected way? In the children’s book realm, there are a few books that I’ve read over and over. Bridge to Terabithia by Katherine Paterson is one of those. My copy is well-worn. That story touches me to the core. Another favorite is All the Places to Love, by Patricia MacLachlan. It’s a picture book. The message, that each of us has a favorite place and that in fact, everyone’s favorite place is worthwhile, is one that I absolutely believe in. If you could pick one famous person (author or otherwise) to be college roommates with, who would you select and why? What a fun question! Assuming time travel isn’t a problem here, it would have to be John Steinbeck. I’m a Steinbeck fangirl. I want to know if his college papers were as good as his books. And more than a little part of me wishes I could have traveled with him across the U.S. for Travels with Charley. As his college roommate, maybe I could have convinced him to take me. Tell me something random about yourself that readers might like to know. I have a pair of ostrich eggs in my writing studio. If you’ve never seen one, they’re huge! And the shell is incredibly shiny, as if it has been polished. A reader’s grandmother sent them to me. I keep thinking I need to include an ostrich farm in one of my books someday. If you could tag one other author for this Five in Five, who would it be and what would you want me to ask them? I’d tag Nancy Bo Flood. First I want to know her answer to question #3. Then, because Nancy has spent years working with the Navajo nation, I’d want you to ask her this. What aspect of the Navajo culture do you wish was part of the broader American culture, and why? Shannon, I can tell you are a deep thinker—which I love! Your book selections are great, and I may have to tag Nancy Bo Flood to see if she’ll answer your question! And roomies with John Steinbeck, brilliant! You’d be well-traveled for sure. 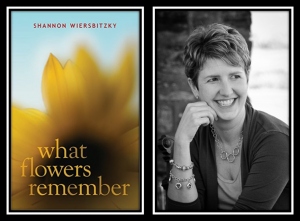 Readers, you can find out more about Shannon and her books in these places. Thanks for stopping by.